What could Alan be concocting here, you ask? I have had several topics I wanted to blog about, but was trying to figure out how to write them in a manner that would not make those who know us think we have 'turned the bend'. Now it is not as ominous as that sounds, it's just that we are not the typical type of people you think of when you think of self-reliant living, or are we? Over twenty years ago, when we started homeschooling our children, we soon discovered we did not fit the norm of what most people thought of when they thought of homeschoolers. If using a term from today's vernacular - we would have probably been called 'edgy' homeschoolers and the same probably goes for our pursuit of self-reliance. What is Arn concocting here, you ask? Its not compost - Keep reading. So, based on my keywords to describe these various concepts in the world of those striving for self-reliance, I have been reluctant to share some of our experiments/research which slip into a dalliance with these trains of thought. That is, I don't want readers to think we live 'that type' of self reliance. However, as we jumped with both feet into our new life, we did so with lots of research which led us down many paths, some of which were out of our comfort zone but we were willing to admit showed some merit and thus deserved further study. This healthy addition to our lives did not come from self-reliant discussions or research, but from our daughter. She wrote a blog on the benefits of bone broth and one item on the list was that it helped relieve joint pain. Alan has had pain in his knees for several years, and I had recently noticed I was having some pain when sitting down and standing up, especially from chairs that were lower to the ground. to draw the nutrients from the bones. So, after reading Eryn's blog I decided to cook up a batch of bone broth. What is the difference between bone broth and regular old chicken broth you ask? Bone broth is made by taking an extra effort to draw minerals and nutrients from the bones being used to make the broth. 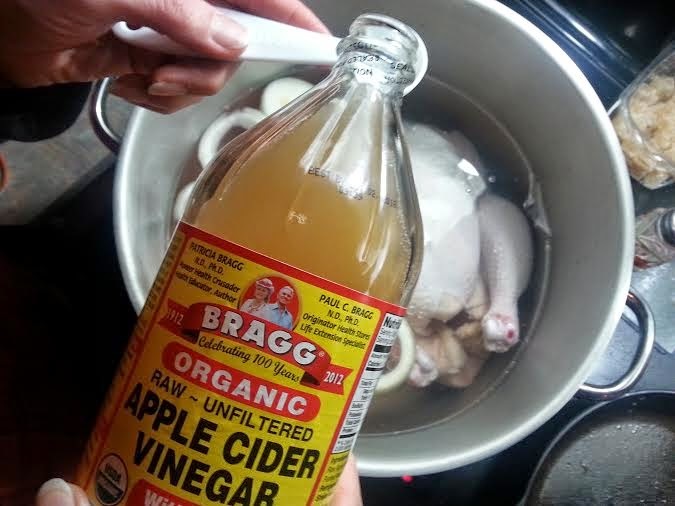 This is done by simmering the bones for a long period of time and also by adding a small amount of apple cider vinegar to the stock pot. Alan and I often enjoy a 'hot beverage' before bedtime, usually tea, but we started having a nightly cup of bone broth instead. The broth is delicious and satisfying, so even if it it did not help our aching joints, we were still enjoying a nightly treat. After just three days, I noticed my knees were not hurting as they had been. I did not say anything to Alan because I did not want to skew our experiment by planting any suggestions in his mind, yet that same night he mentioned that he was noticing improvement also. Further proof of the benefits is that we could feel the negative difference when were are away from home for several days and not having our nightly dose of bone broth. Right after Thanksgiving, I was able to buy several turkeys at 50 cents a pound so I made quite a few gallons of turkey bone broth and canned it. We also enjoyed many cups of it 'fresh' as I set some aside for our daily use while I was canning it. It turns out that the turkey version is even tastier than the chicken. Welcome to the science lab. - Some brands of bandages (Band-Aid, Curad, etc.) now have a silver impregnated version of their products. That being said, Alan did much research before deciding to make a batch of colloidal silver. Colloidal silver is a water that has microscopic particles of silver suspended in it, colloidal means 'particles in suspension'. The particles are so small, they stay suspended and do not sink to the bottom of the container. We have been taking a very low dose of colloidal silver every morning, and though I am not yet ready to say there is a definite benefit, I have noticed some interesting 'coincidences'. For example, during our annual Turkey Palooza week with extended family, the household came down with a very nasty stomach bug. It generally lasted for 12 hours, longer for some, and was very unpleasant - let's just say it was a good thing the house we rented had a washer and dryer. There were 13 of us staying at the house and one by one everyone was hit by the bug. That is everyone except me. And, Alan was one of the last to get it and he did not have any 'stomach issues' he just slept it off for an entire day. Many of our friends we gather with throughout the month have all been sick this winter, many with this nasty flu going around. Yet neither Alan nor myself have had a single sick day yet this season. The colloidal silver also seems to help wounds to heal more quickly when applied topically. Ever since my recluse spider bite, I periodically get small sores, somewhat like water blisters around the area of the bite. The last few times this occurred, I have swabbed the area with the colloidal silver solution and the sores have healed more quickly than in the past. Alan has spent hours looking at methods of creating the colloidal silver, learning of many scams on the market, and even learning of some electronic components he didn't know existed (constant current diodes for example). He now has a rig that uses silver bars, measures and holds a constant current (1 ma), and has a motor driven agitator). It takes him about 2 days to make a quart batch of 10 ppm (parts per million) solution. The first two items I mentioned have been digestible items. Please note that this next one is not to be ingested! Some of my garden research has led to discussions on the benefit of having a worm farm. Vermicomposting is the term for using worms to do your composting, and to do this you create a worm farm. Many worm farmers harvest the castings to either use directly in the garden or to generate worm tea through a process of soaking and aerating the castings in a container of water. What are worm casting, you ask? The definition is "a convoluted mass of soil, mud, or sand thrown up by an worm on the surface after passing through the worm's body", aka worm pooh. Rather than going to the work to collect the castings and generating the worm tea, I have gone with a simple approach. I collect worm juice. What is worm juice, you ask? It is actually leachate which is the liquid run off that settles below the vermicompost or worm castings, aka worm pee. So this past summer, we constructed our worm farm and placed an order for our worms. We decided to re-purpose Alan's 'hot tub' we had set up on our deck the previous summer to become the home for our worms. This is a 100 gallon watering trough made out of black Rubbermade material. It had originally been purchased as our first rainwater catchment container to provide water for our toilet, it then became Alan's soaking tub when we upgraded our bathroom water system, and now it is home to a legion of worms. The bottom of the tub with the nozzle and bottle attached. Since we wanted to drain the worm juice from the worm bin, Alan drilled a drain hole in the bottom of the tank and attached a bulkhead adapter that we could screw a 2 liter soda bottle onto (the soda bottle adapter is actually a 'vortex' connector sold in hobby shops to make 'tornadoes' in science class). We then placed the worm bin on concrete blocks so that it would be far enough off the ground so that we could switch out the collecting bottles as they filled. We made sure to have the bin sit at a slight angle with the drain hole at the low end so the juice would run off into the bottles. Next came the layering of materials within the worm bin. First was a layer of rocks to allow for a more open space at the bottom of the bin. We then placed a layer of landscaping fabric on top of the rocks so that the dirt and compost would not work its way through the rock layer and clog the drain hole. Next was a layer of shredded cardboard, then dirt intermixed with dead leaves and more cardboard. The final layer is a large piece of cardboard that covers the surface and then there is also a lid that we clamp on top of the container. The lid was to keep any predators out, but I have also discovered it is needed to keep straying worms inside, some seem to have the desire to leave home and head out on adventures. Now we were ready for our worms. Move-in day for the worms. We had ordered 2000 Red Wigglers from Uncle Jim's Worm Farm. Your typical earthworms are not good composters. The worms were shipped by priority mail and arrived healthy in their very own personalized bag. No, we did not count them to verify that we received 2000 of them. We dumped our worms into their new home, gave them some fresh produce to compost and waited for the worm pee to start flowing. And waited... and waited. I was just about ready to check Amazon (or possibly petmeds.com) for 'worm diuretics' when we finally started to see leachate draining into the soda bottle. Realize that the liquids had to soak down through the materials in the worm bin and collect enough to fill the end of the tank up to the to lip of the drain hole before we started seeing any production, thus the reason for the wait. But, during this time, the worms were very busy. Each time I take compost out to add to the worm bin, I dig a hole in the current dirt and compost to bury the new food. In doing so, I unearth some of the residents so I am able to check on them at the same time. By the end of summer, I was seeing many baby worms in the bin, so our stock is multiplying. for our worm farm (indirectly). As winter approached, I started worrying that the worms may freeze. This would not really be a disaster as all the worm eggs in the bin would survive and hatch out this spring, but try telling that to the current worm population! So, the worms and I came up with a plan, whenever the temperature was below freezing for more than a night, that is not getting above freezing during the day, I would place a galvanized bucket full of rocks on our wood burner. I would then take the heated rocks out to the worm bin and lay them on the top layer of cardboard to help keep the dirt underneath thawed. I have two sets of rocks so I can swap them out and have one set heating while the other set is warming the bin. So far this has been a success, dirt around the walls of the bin has frozen, but the worms have survived by staying in the center of the tub. I now have several bottles of worm juice that I plan to use as I prepare my garden this year. I will share more details on that in another blog post. By the way, I've learned that worm juice like we are collecting sells for $60 to $120 per gallon! What Else May Be on the Horizon? What are some of my current areas of research, you ask? I have read some interesting articles on Honey, Ginger, Cinnamon, Nuts and Vinegar. And hey, even if none of these pan out as actually being beneficial , they will still make some very tasty snacks. As I harvested the last of our green tomatoes the day before our first frost in early November, I was thinking of all the time I would have in the next few months to work on crafts and hobbies - like crocheting, jigsaw puzzles and some new sewing projects I would like to get started on. I told myself that once our annual week of 'Turkey Palooza' was over, Alan and I would settle down for a few months of semi-hibernation. Outdoor projects would come to an end, except for carrying in wood, and we would spend our days and evenings snuggled in front of Reggie, our wood burning stove. And, with the ceiling fan we installed this summer, we were anticipating much more comfortable temperatures during those coldest days of winter. Yes, after our last upgrades I had written that our solar system was now complete, but we ran into a bit of a hiccup. You may recall we had added in more of the Grape solar panels and we now have four of them that we arranged in a 2 by 2 grid that are positioned on a frame that angles from our south deck railing down to the ground. Well, as the winter sun dipped lower in the sky, we discovered that the tool shed we have to the south of the house was casting shadows on the newly added lower panels. We decided we had two options to increase the efficiency of our panels - move the shed or move the panels. After a bit of discussion, I convinced Alan that I did not mind tearing apart my container garden (currently to the east of the panels) so that we could slide the solar panel frames over to ensure that the shadows are no longer cast on the lower two panels. Plus, we would be able to reinforce the frames at the same time as they had added a bit of sag since we doubled up the weight on each of the frames when we added the new panels. I emptied all the large planters, moved my tires and manhandled my pallets that had been leaning against the deck to make room for the repositioning of the frames. In the mean time we ordered in the extra cable needed to reach from the new location to the electrical panel, and Alan worked on adding metal supports to strengthen the frames. Our grid of the Grape solar panels is now devoid of shadows (until the sun dips behind the tree tops to the west each day) and I have a start on redesigning and expanding my container garden for next spring. 18 Harbor Freight panels up on the deck. We have several 'staples' in our canning pantry that I try not to run out of. For example, when ground beef was on sale earlier this fall, I spent several days canning many pints of ground beef as well as a variety of meals and entrees in jars. One item I use a lot are 'Lil Sizzler' breakfast sausages. These sausages have no casing and work well for canning. I can fit six in a half-pint jar which is a perfect serving for Alan and I for breakfast and we enjoy them with both sourdough pancakes and french toast, so we have them on a regular basis. I first started canning these sausages over two years ago when a store in the nearest town had them on sale for 99 cents a package. They are normally $2.29 per 12 ounce package which contains 12 sausages. For about 18 months, the sale price would occur every so often and I was able to keep them in stock in our pantry. Then last spring, or early summer, I ran out. Since that time, there have been no sales... It appeared that inflation had got to the 'Lil Sizzlers'. Then right after Thanksgiving we made a trek into town, and saw there was a sale! Not 99 cents like the old days, but 2 packages for $3.00. I quickly grabbed all they had in the freezer section. I didn't managed to get enough to have a 'canner-full' but I had some other meats to can so I was happy - when I only have a partial canner load I feel like I am wasting propane. turkey meat, turkey soup and nutritious bone broth. There is a Wal-Mart in the nearest big town about 45 minutes away, and I had to pay them a visit to stock up on canning jar lids. 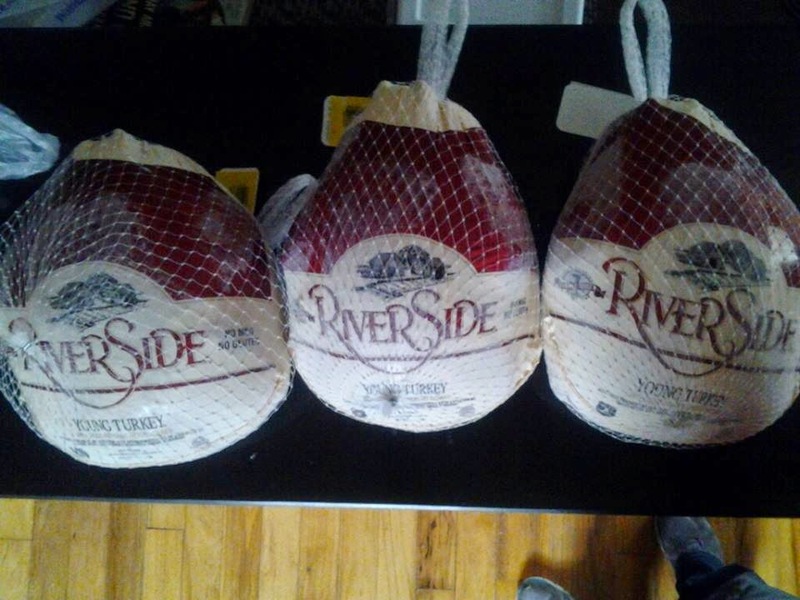 While there, I found turkeys on sale for 50 cents a pound. I couldn't pass that up, and Alan talked me into getting three large turkeys. They were frozen solid and could sit in the bottom of our fridge for several days thawing, so I could can them after I finished the sausage. Plus they would act like three large blocks of ice in the fridge and thus save on some of our solar power that runs the fridge. I browned off for canning. A few days later, I check the online sales ad for that grocery store with the 'Lil Sizzlers', and discovered that while the week prior they were on sale for $1.50 a package, now they are once again on sale and this time for 99 cents a package. It's too good of a deal to pass up, so the next time we are in town we stop to pick up some more. I am disappointed that the store's freezer shelf is bare, so I ask an employee and he says he has plenty in the back and how many would we like. We end up with two more cases (24 packages) which is another TWO canner loads. All told I canned 444 'Lil Sizzlers'! So between sausages and turkeys the pressure canner has been very busy. Oh, and did I mention we also picked up a 50 pound bag of potatoes for $10. I like to keep canned potatoes on hand for quick meal preps. were the first location for my canning pantry. I originally stored all of our home canned goods in the cabinet area of our kitchen island. But, as the majority of our meals started coming from our canning pantry, we had to find more room for our growing supply of home canned goodness. Thus our third bedroom became our pantry. When we moved in, our second bedroom was decorated as our guest room, but the third bedroom had become a catch all for projects and 'stuff' that we hadn't found a home for elsewhere in the house. We did leave room (most of the time) for two heavy duty cots we had purchased so this room could still be used as an additional bedroom, sort of. my canning pantry recently outgrew. to my new shelves as I organized. As my canning bounty increased, we added more shelves to this room. We had started out with your typical plastic storage shelves for all the 'stuff' that was 'temporarily' (yeah, right!) housed in this room, but these were not sturdy enough to be loaded with full canning jars. They tend to bow some-what even when I store my empty jars on them. A little over a year ago, I was fortunate enough to get two sets of shelves that had been designed to go into stores for selling candles - the jar candles that are so popular (and heavy). Alan graciously carried the yet to be assembled wooden (and heavy) shelves up the stairs and into our house and then spent several frustrating hours building them as no instructions were included. Think Ikea furniture with no instructions - yeah, really frustrating. We were able to get 4 extra shelves, 2 extra for each unit. I could then better adjust the height of each shelf to fit the most jars. Well, I love these shelves and I can fully fill each shelf with canned goods with no fear of broken or sagging shelves. However, with my recent flurry of canning, my pantry storage was filling up fast. I needed to find another option that would hold more heavy jars as they came out of the canner. My newest addition to the pantry. Each shelf can hold 350 pounds. Last spring, Alan had picked up a set of the heavy chrome shelves like you find in commercial kitchens. I have plans for a greenhouse/solar dehydrator that I want him to work on this winter, another project to disrupt hibernation. The shelving unit came with 5 shelves and stands about 6 feet tall. It is sturdy enough for canning jars, but 5 shelves spaced over 6 feet in height means a lot of wasted space when you put just one level of jars on each shelf. However, the way the shelves are designed, you can add more shelves to a unit and Alan told me that when he had made the purchase at Lowe's he also saw that they sold extra shelves individually. Alan needed some items from Lowe's for a current plumbing project (another hibernation buster) and so I went along to get some more shelves. I discovered that the complete shelving units (with 5 shelves) were on sale for about $65, while the individually wrapped shelves were $20 each. I could pay $100 to get 5 extra shelves, or pay $65 for a complete 5 shelf unit and just use the shelves. Therefore, I bought two units with plans to use the shelves from both on just one of the frames, thus doubling the amount of jars I can store in the space of one set of shelves. Once I had the new super-duper shelving unit constructed, it was time to start reorganizing the pantry - the fun part of the project! The energy graph from our solar panels. Wait, Where's All Our Power? As I described above, we moved the panels so that they can all bask in the sun, but unfortunately there has been no basking since we relocated the panels in early December. Checking the graphing feature of our charge controller (above) shows that we have had only 6 somewhat decent days for generating power throughout December. From December 1st to the 27th there have been 25 days of cloud cover. A few of these days had a bit lighter cloud cover that allowed some solar power to be generated, but for the most part our batteries have not been fed by the solar panels. Our generator has had to come out of a long hibernation because the sun has decided it can hibernate even though we can not. Well, it looks like someone is hibernating.